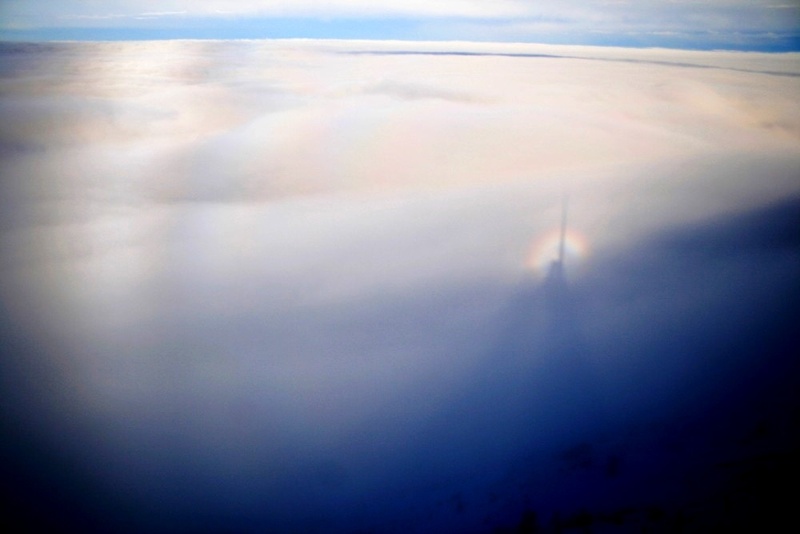 In the morning of December 12, 2008, I coud observe a cloud bow on a stratocumulus layer, which was kind of perspectively cracked. Due to the ruggedness of the cloud surface it seemed as if there was a deep horizontal notch on the left side of the cloud bow. But also this moonlight cloud bow, taken on September 9, 2008, seems to have vertical indentations and also an elliptical shape caused by the horizontal projection upon an uneven surface. Günther Können and I have written also an article to this topic.